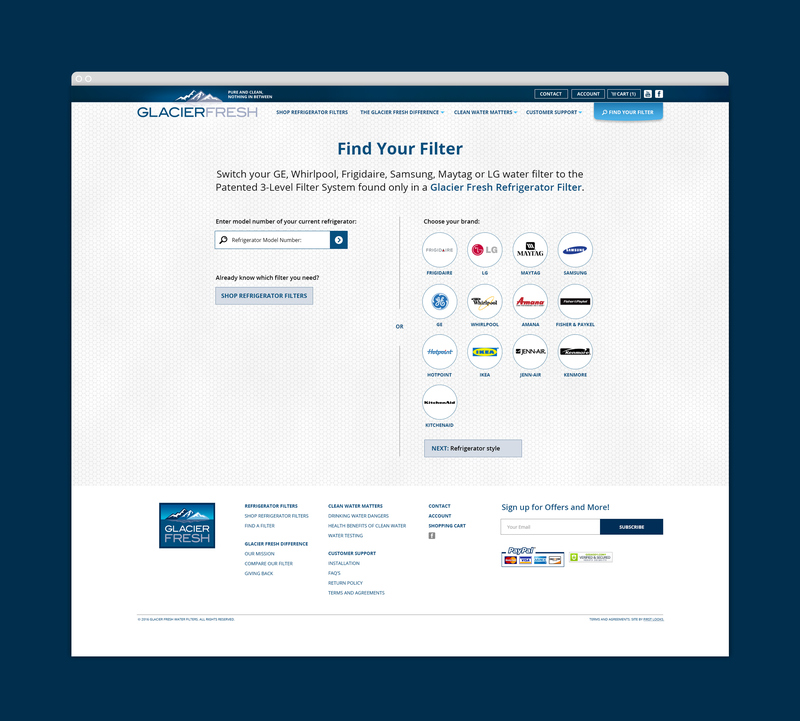 Glacier Fresh water filters provide superior water filtration for lead, mercury, asbestos, and even fluoride and arsenic that other water filters leave behind. 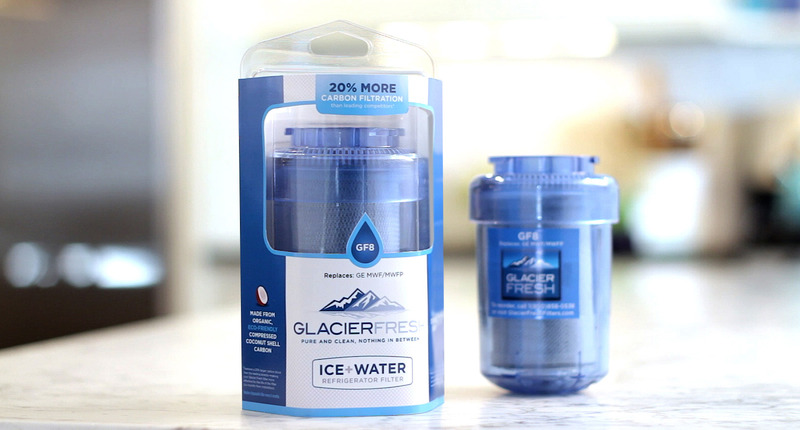 The startup company was in need of product naming, logo design, corporate identity and all marketing components. 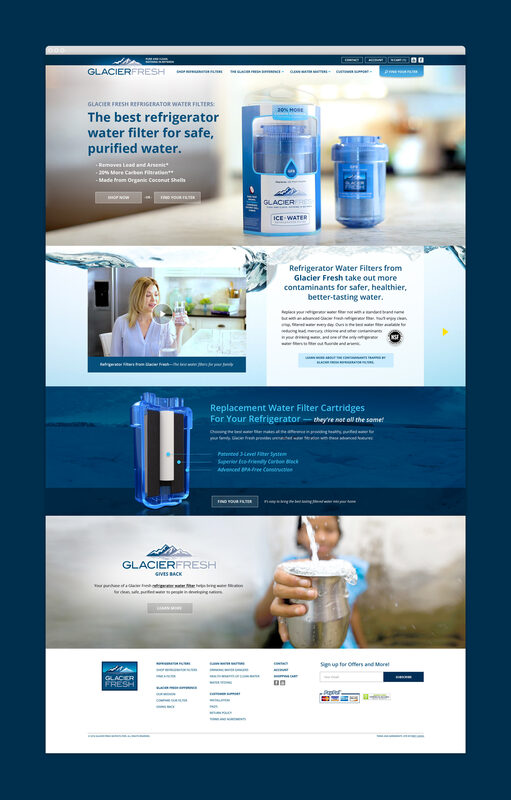 The tagline “Pure and Clean with Nothing in Between” helped to unify the brand amongst award-winning web design, promotional videos and custom packaging.